Heart & Mind: A Single Degree of Separation! A Single Degree of Separation! Today Cori, Randy, and I were in Sonoma for the "Winter Wineland" event -- tasting wines at a bunch of wineries in Sonoma for a couple days. The event starts at 11AM Saturday and Sunday so we had a couple hours to kill before going to our first winery. We drove around the square in Healdsburg and passed a bookstore. I exclaimed, "Bookstore! 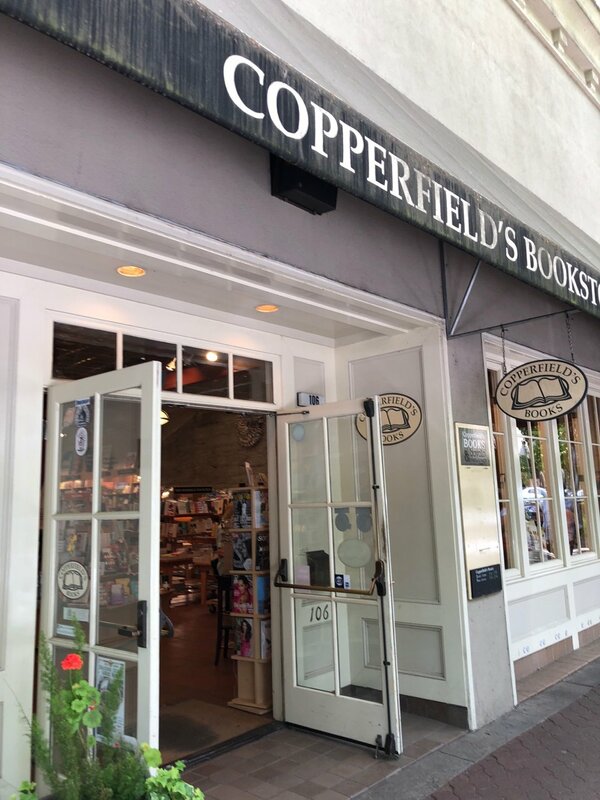 Copperfield's! Yes!" I asked Randy and Cori if we could go back around and see if it was open. It was, and in we went. It was a delightful bookstore, neat and organized, with two cats. 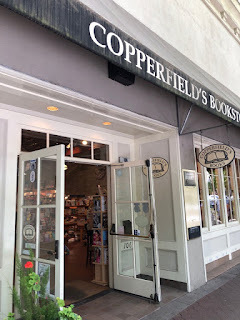 As Cori and I wandered and shopped, we talked about various books and authors. We ended up at a display labeled "New Non-Fiction." I picked up a book and said, "Look, a new Wendell Berry!" Cori responded that she knew I liked him and have a lot of his books. I said, "Yes, I thought I'd try to own all his books but I don't think I can afford it. I think he's written something like 50!" A man on the other side of the display looked up when I said that and our eyes met. I said, "Do you know Wendell Berry?" He said, "Yes, I know him personally." I said -- rather stupidly -- "Wow! That's just one degree of separation!" I asked, "How do you know him?" "I lived in a log cabin in Kentucky for 10 years, just a few miles from his home," he answered. I came around to his side of the display. "He and another author used to go to events together and park their car at my place." We talked for a while about Berry. Berry doesn't do interviews, and the man said that he works through his wife. He said he tried to arrange visits for people to Berry through his wife, "who is delightful," but she knows she needs to protect him. I talked about a podcast I listen to named "The Membership" (a word Berry uses to describe the community he writes about) where they read and discuss all 3 genres of his work: poetry, non-fiction, and fiction. I said one of the hosts did succeed in getting an afternoon in person with Berry but the others have not met him; they just all love him and his work. I said that Berry told the one who ultimately got the face-to-face meeting that he "said all he wants to say in his books." 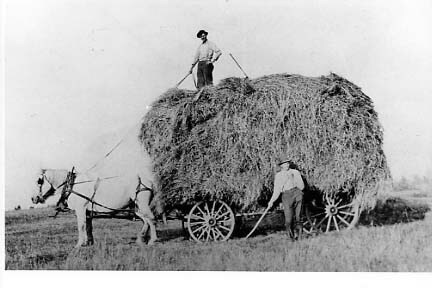 How I imagine Dad's hay wagon experience looked. I told the man about my dad, who I often think of as I read Berry's work. I said Dad lived through the time Berry writes of -- the mechanization of farming. Dad wrote in his memoir about driving horses when he was 8, and then later they got tractors. I told how Dad brought me and my husband to a tractor show once and got all excited climbing up and showing us how they repaired the tractor while they were driving it. He laughed as I mimed my dad holding the steering wheel and stretching his leg across. He talked about how he, too, had driven horses with the wagon full of hay, same as my dad. He talked about how it was hard to keep all those stacked hay bails from falling over, which Dad had said, too. Dad worked for some brothers who owned a farm, and those brothers would get so disgusted with Dad when the bails would fall because Dad went around a corner. The man said straw was even harder because it was lighter and more slick. He said he and his brother became experts in stacking the straw tight to keep it from falling. "Needs must," I said. 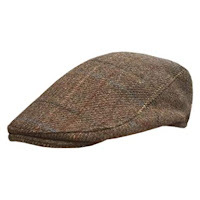 The man in the bookstore wore a brown tweed golf hat. He had a friendly face, with smiling eyes. I would have loved to ask him his name and even take a picture, but I feared it would be bad taste and maybe he didn't want to get so personal. Who knows --- maybe he was thinking the same thing about me. Anyway, we shook hands and both said how good it was to meet and talk. My anxiety doesn't make me a "bad" Christian!